Use this practical thread in the bobbin for appliqué, lining up corners and matching up patterns, binding, and zippers. The heat of an iron will fuse layers of fabric together, holding it in place so you can perfect your project. 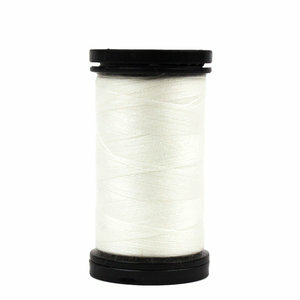 Then simply pull the top thread out. 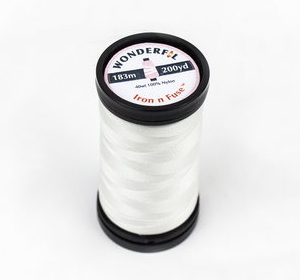 40 wt, Fusible Vinylon, 183 metres per spool. 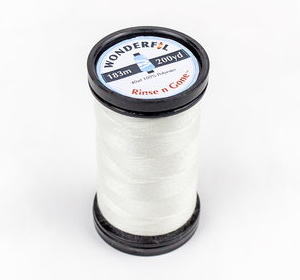 This time saving thread is a favourite for basting hems, positioning zippers and pockets, ease stitching, and any temporary placement. Simply rinse the project in room temperature water or brush with a wet toothbrush to make it disappear. 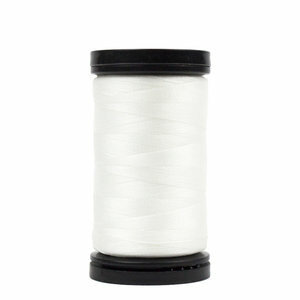 40 wt, Washaway Polyester, 183 mtres per spool.